The Chord Electronics Hugo M Scaler makes its debut at CanJam London 2018! 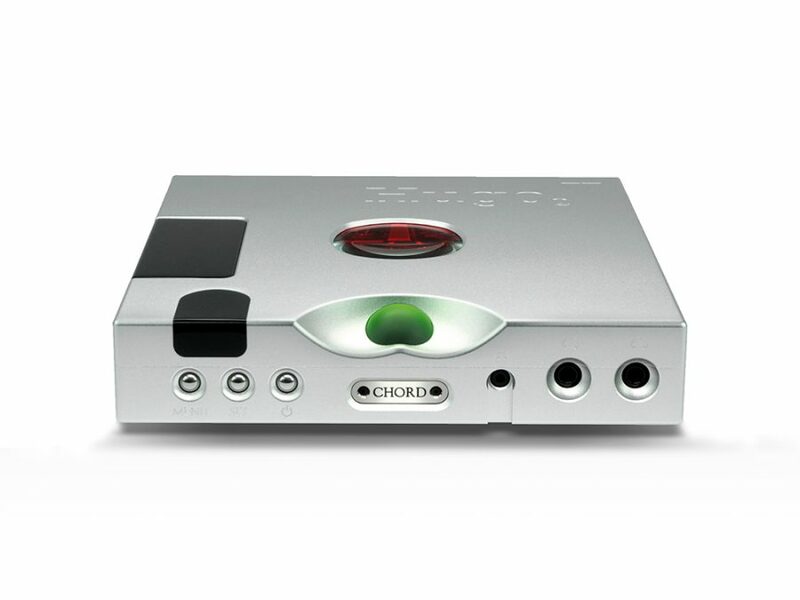 Those who have heard the Chord Electronics Blu Mk.2 M- caler claim it to be the best digital transport/upscaler on the planet. I’d have to agree. However, at its price ($10,500 USD), many won’t be able to experience M-Scaler technology in their homes without putting their kids up for adoption. 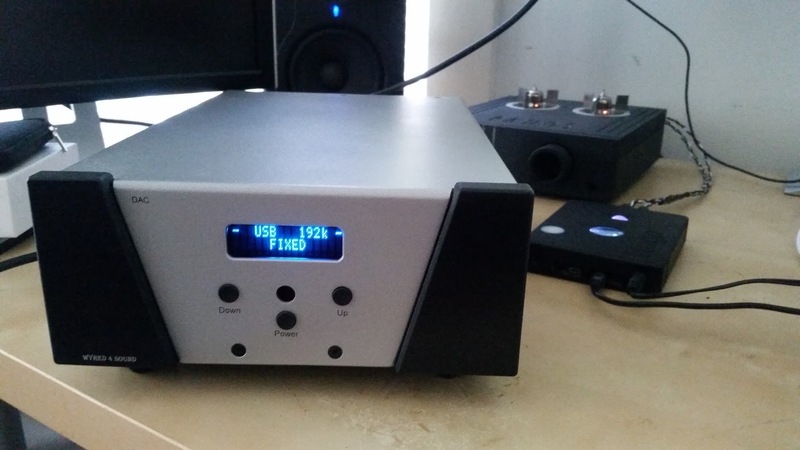 Rob Watts, the genius behind the madness, has an obsession with DAC design. He’s always pushing the envelope of digital audio – and to say he’s a perfectionist – well, that would be an understatement. Having spoken to Rob on many occasions, I feel his greatest strength to be his insatiable and relentless curiosity. After much praise for the Chord Electronics Blu Mk.2, Rob wanted to get the M Scaler into more hands (and ears) by making it not only more affordable but more flexible. He has been working ambitiously for months, always listening…always measuring. Well, the Hugo M Scaler has finally arrived. And it’s pretty damn sleek. Those with a huge collection will probably still want the Blu2. 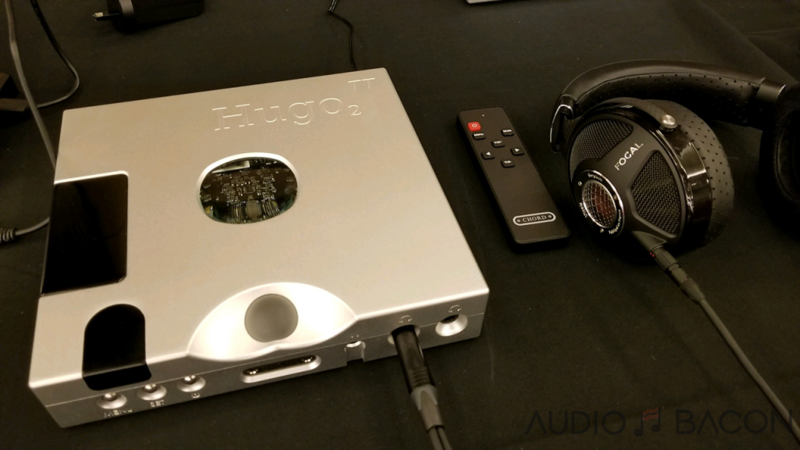 Same form factor as the original Hugo TT, the new Chord Electronics Hugo TT 2, and my current reference near-field power amplifier, the TToby. Now headphone and 2-channel enthusiasts could enjoy this state-of-the-art performance, without losing aesthetics or desk space. I can’t wait to stack these beauties. Could be powered by an external power supply (9-15V). By far, my favorite new feature. You could use a portable battery or a custom LPS such as the Paul Hynes SR4. For those who realize the sonic gains of having a better power supply, this is going to be HUGE. This will further improve sound quality coming from your streamer/server. 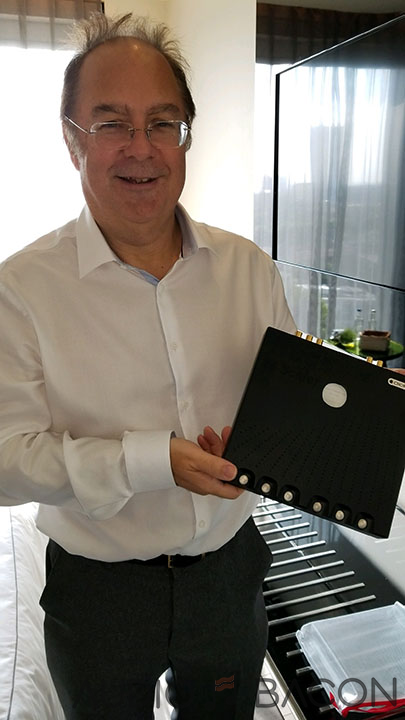 Ask anyone – the Chord Electronics DAVE is undoubtedly in the top half percent of DACs in the world today. Yet when fronted by the Chord Electronics Blu Mk.2, a digital-to-digital upscaler, the DAVE sounded like a plastic toy. Let that sink in for a little bit. This just shows how far (and quick) Rob Watts has pushed DAC performance and just how monumental the M Scaler technology really is. 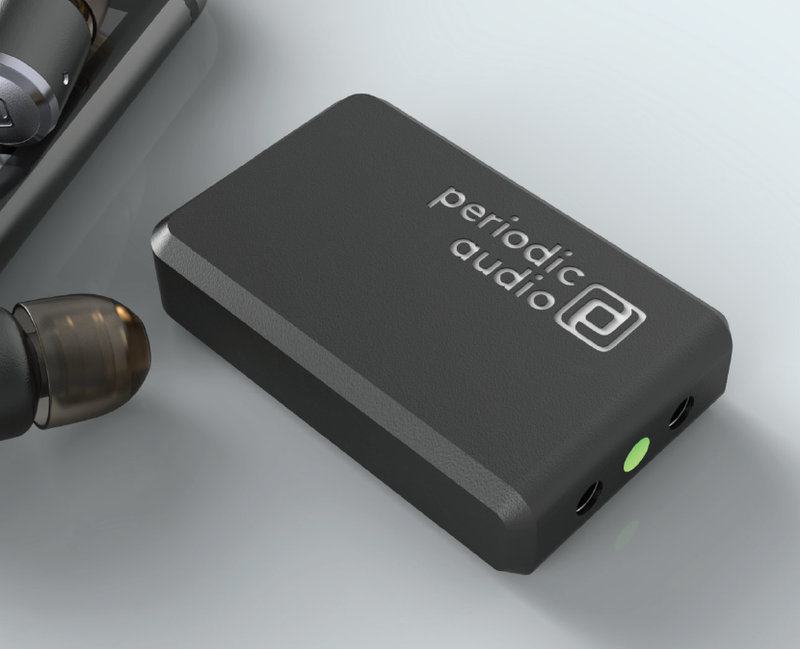 This is a very exciting time for Chord Electronics – and especially for the audiophile world. Plenty of optimizations have been made since I last heard an Hugo M-Scaler prototype a few months back. 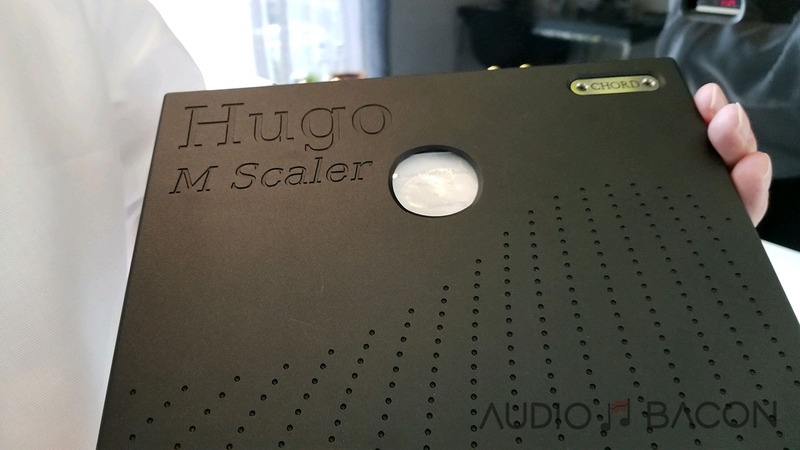 I genuinely cannot fathom how good the Hugo M-Scaler will sound now. All I know is…you’re going blown the hell away. Hi I am curious – if I buy a TT2 – why would I need this ? What advantages does it bring ? Jay, the M-Scaler is a digital-to-digital device. Hence PSU cannot affect sound quality, per-se. The only possibility is for less analog noise on the dual BNC to the hugo2 and thus corruption of the D/A analog side. But now this link is gakvanically isolated. I come to you for your technical advice …so in your full review please clarify your comments. Hey Daniel! Technically, it shouldn’t affect sound quality…but for whatever reason, it does. A digital-to-digital device such as the SOtM tX-USBultra also benefits heavily from a better power supply. I’ll definitely touch upon this in my M Scaler review, with comparisons to batteries and high-end supplies. Jay, forgive my brutish reply but you are held in esteem to be knowledgeable about why a DDC PSU affects SQ ‘for whatever reason’ so I don’t know why you cloud this with mystery. Its no mystery – its all about PSU affecting the DDC’s emission of analog RF noise into the metal conductive chain and affecting downstream analog equipment. Many audiophiles (you?) think a better PSU on a DDC changes the bits – wrong – they are always the same. The PSU just colors the DDC’s analog noise to change the tone/character of the DAC’s D/A modulated signal. Rob Watts says RF noise is insidious and now M-Scaler has galvanic isolation on the link from the DDC to the DAC …so we no longer need ferrites to quash this RF noise. If you hear an audible difference by changing PSU’s or other power variables …then it must mean that the RF noise is still getting through (add more ferrites!) or backing up through the AC mains to other equipment. You’re totally right. I was just being lazy in my response. Whatever reason = many reasons. Bits don’t change and we’re hearing RF noise. Power supply design matters and I’m suspect it’s going to still make a difference, even with galvanic isolation on the M Scaler. We’ll see! @Daniel, The PSU affects the clock and digital circuits. The cleaner and lower impedance the PSU, the cleaner output you get from the DAC. When bits are transmitted in the real world, they are subjected to the effects of physics: jitter, noise from PSU, self noise from voltage regulators and components, impedance, vibrations, etc. If bits are bits, try running a USB cable for 10m and watch the bits deteriorate. I guess I’d be a little more excited if my Hugo 2 hadn’t been in the repair shop (factory authorized repair of unit originally purchased by me new) for the past 3 months waiting on a new board. I don’t doubt the sonics, but the Chord customer service has been terrible. 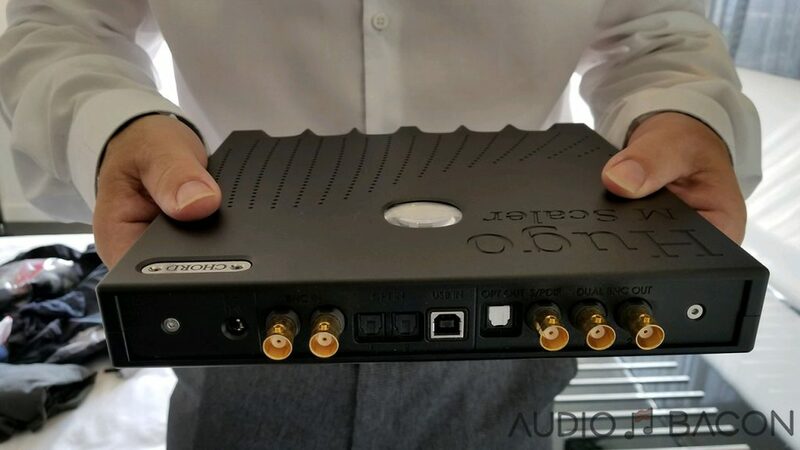 Am I right in thinking that if we fed optical to the m-scaler, then there would be no need for an expensive server like the Innuos Zenith SE since the optical connection will get rid of all noise b4 the mscaler gets the signal ?? Just put in an order for the MScaler and Hugo TT 2. What BNC cables are you using atm? Do you think longer cables will still positively impact the sq as in the case of the Blumk2? Currently looking at the Habst Digital BNC but them being so pricey, I’m hoping I can get away with a pair of the 0.5m, especially since I’ll be stacking.